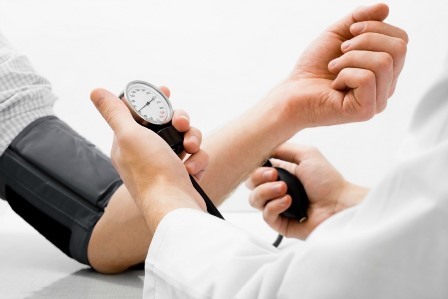 High Blood Pressure is one of the dismal functionalities of the human body in which blood moves through the arteries with high force as the heart pumps blood forcefully in to the delicate tissues in the arteries and hence tend to damage the blood vessels. High Blood pressure patients rarely recognize the symptoms as they are never obvious unless they have done significant damage to the heart. If not treated at proper time i.e. when early symptoms are visible, High Blood pressure can lead to Heart Attack, Stroke or Kidney damage. 1. An adoption of 30 – 60 minutes exercise can reduce blood pressure numbers by 4 to 9 mmHg. But things to be taken care of is the type or kind of exercise and with what frequency it should be done among others. These things will be better understood by the doctor who can prepare a safe exercise routine. 2. One of the first things about High BP is that it is directly proportional with increasing weight. So excess weight should be reduced at any cost if one wants to keep High BP in check. What is most troublesome is the fact that extra fat around the waist, known as visceral fat, can cause serious health hazards. 3. If one is a ‘teetotaller’ then this point can be ignored but otherwise one must quit alcohol and smoking ASAP. As far as smoking is concerned even if one is a second hand smoker it affects similarly as compared to first hand chain smokers.